Anyone who knows me knows that I am into some weird stuff. It's true that I may not know who is currently running Russia, and I'm a little sketchy as to how to change the oil in a car, but if you want to ask me about the Mapinguari- the mythological giant sloth rumored to live deep in the Amazon, I can tell you about some pretty compelling evidence to make you believe that I should be committed. But don't call Arkham just yet! I'm not the only one who's into the paranormal world around us. What if monsters, ghosts and ET were real? What if we did live in a world with Bigfoot, flying saucers, and the legendary Brown Lady? If you're not a believer, you gotta admit it's an awesome thought anyway. This is one I don't really put a lot of energy to, but research ghosts and UFOs come up almost automatically. There's some interesting footage, especially the stuff that came out of Mexico City a few years ago, but I'm the kind of guy that until they land I'm not really that interested. 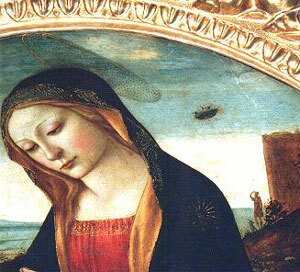 Although some really freaky evidence is a painting made a few hundred years ago of the Virgin Mary and child. Check out right behind her left shoulder. 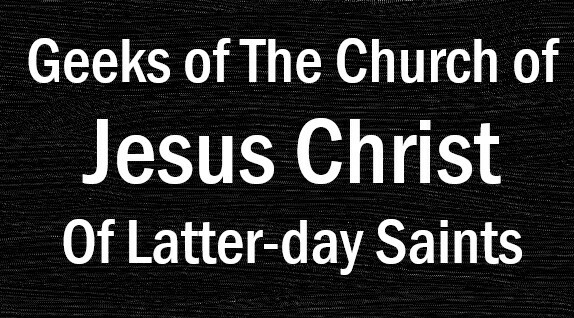 The apostles believed that the Savior was a spirit walking across the water. This is proof that back then they understood the concept of ghosts, and ideas that they could do things like glide over water and appear otherworldly. They're are accounts of Joseph Smith and the early saints dealing with haunted shacks in what would later become Nauvoo. 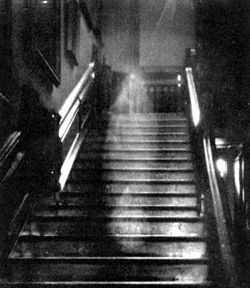 Scientists who study ghosts, also known as parapsychologists, are now finding evidence that ghosts may not actually be spirits, but a yet unknown type of energy linked with the human brain that can leave behind imprints later to be charged by others. Personally, I fully believe in the existence of ghosts. Growing up I spent several years living at my grandfather's house, where every night they're were disembodied footsteps walking up and down the hall, voices in unoccupied parts of the small home, to even seeing apparitions a couple times. Live through that and it's impossible not to become a believer. 50 points if you knew this word before you opened the post. Cryptozoology is the study of animals that shouldn't exist for one reason or another. This goes from creatures that should be extinct but aren't, like dinosaurs being spotted in Africa, or creatures in places that they shouldn't belong, like the supposed black panthers in England, to even legendary creatures like Bigfoot. This has probably the best scientific backing of the three I've mentioned, since new and formerly believed extinct species are found all the time around the world. There's a fish with an early form of legs living off the Ivory Coast that shocked scientists when it was found, since it was believed to have gone extinct BEFORE the dinosaurs! 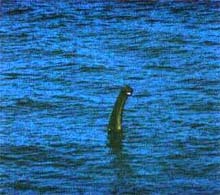 They're are large stretches of unexplored terrain in Canada, Tibet, Brazil and southern Africa that could be teeming with unique and interesting critters, not to mention what could still be hiding in the oceans. 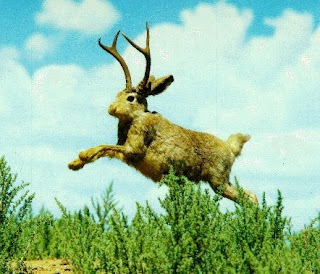 And yes, if I can come up with a scripture reference for ghosts I can come up with some for monsters. Genesis talks about the world being inhabited by giants before the great flood, and Ether 9:19 talks about cureums and comoms, unidentified creatures which apparently benefit man. So are there monsters, aliens and things that go bump in the night? I'll say probably, but weather or not they exist it's a fascinating study nonetheless. Take a look at it sometime and see for yourself.